Your CPSU bargaining team and the University have been meeting since the 21 February 2018 to ensure progress is made in reaching an agreement that gives members access to improved entitlements. Since the last update, a range of clauses have been tabled and negotiations have progressed to the point that we are now in the phase of working out the term and quantum of the agreement and the next items being negotiated. Parental Leave Yes Increase in partner leave from 5 to 10 days. This is a CPSU claim so members can better support their partner. Purchased Leave and Annual Leave at half Pay Letter of Intent Access to and improvements to this. A win for members. Redundancy and Redeployment Subject to final checks It is proposed that the number of weeks for redeployment increases from 24 to 26 and that that an increase in the Voluntary Redundancy goes up from 24 to 26 weeks. There are some other proposed changes that will be outlined in detail in the next bulletin. Fixed Term employment Near Finalisation The new clause has provisions that outline the categories where fixed term employment can be used and has improved the criteria for conversion of staff where the criteria can be met. Superannuation Yes – CPSU As a sector first the University will offer super to staff on unpaid parental leave for up to 12 months. Pay and the Term of the agreement Not yet – This issue will be discussed in the next few meetings To determine the term of the agreement and where the pay rises fall within that term. Enterprise Bargaining meetings will continue to be scheduled weekly until the end of March and an important issue for members that we expect to come up in the next few meetings is an offer on salaries. In relation to the overall improvements in conditions your union will send out a more comprehensive update and also hold a members meeting shortly where we will outline the negotiations to date, answer questions and get your feedback. You can help support your UOW Professional Staff Union by reminding your colleagues that it is through the CPSU NSW’s advocacy that we maintain and improve conditions here at the University of Wollongong. 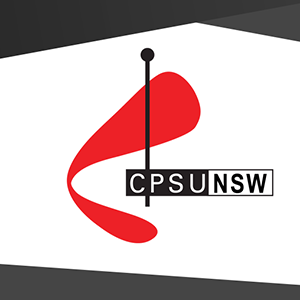 Please feel free to forward this email to your colleagues and ask at least one colleague to JOIN the CPSU NSW today. Give a copy of this bulletin to your colleagues. Print this bulletin and put it up on your notice board.